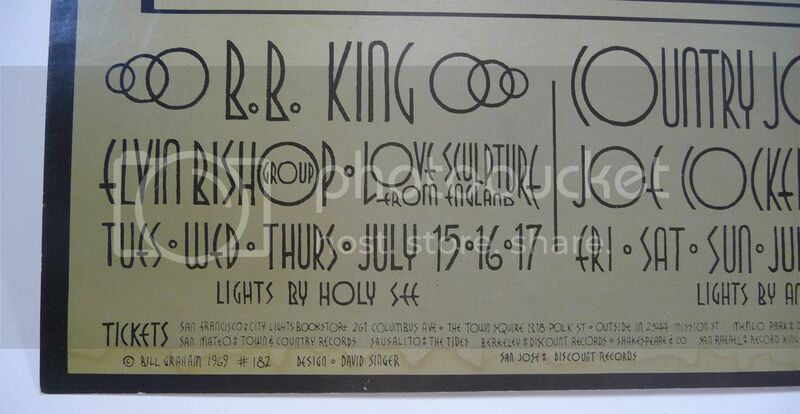 This is an original first printing BILL GRAHAM PRESENTS poster featuring blues master B.B. KING, COUNTRY JOE & THE FISH and JOE COCKER (#BG-182) was printed on slick, glossy-coated index stock and measures approximately 14″ x 22″. The striking graphic is mystic and colorful. 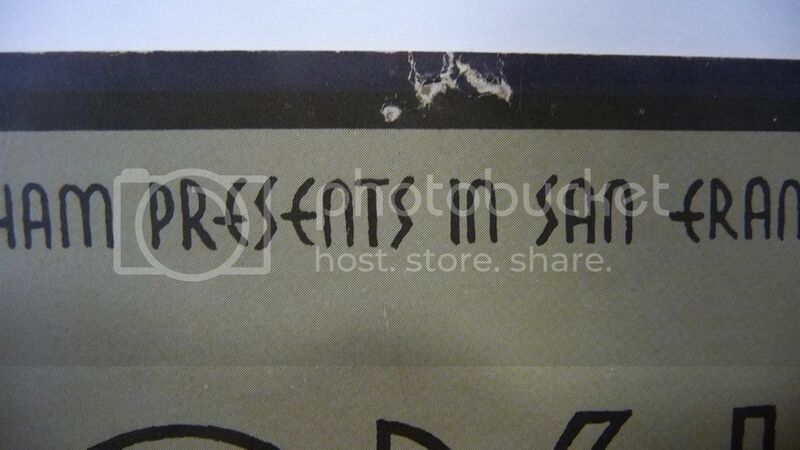 This print is in fairly good shape with some general wear, including pinholes at the top, some minor water staining along the bottom edge, 3 dark lines through the word WEST and some small bends at the corners. 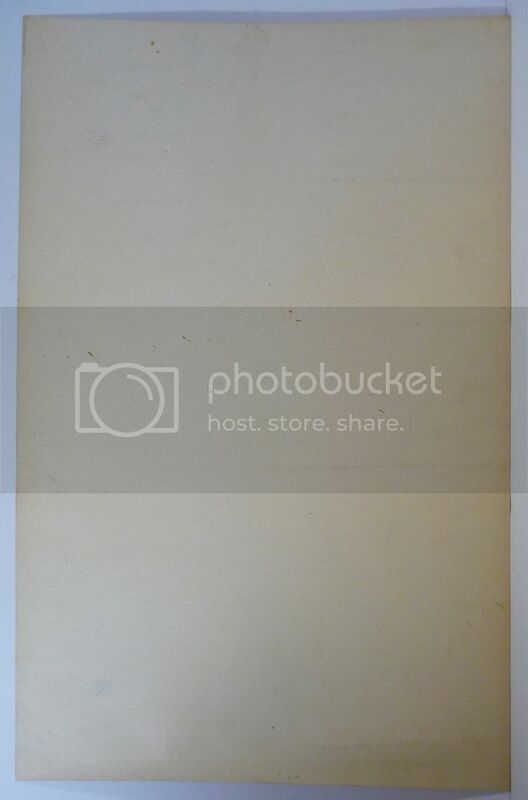 Lots of reference shots are posted below so the condition can be clearly inspected. 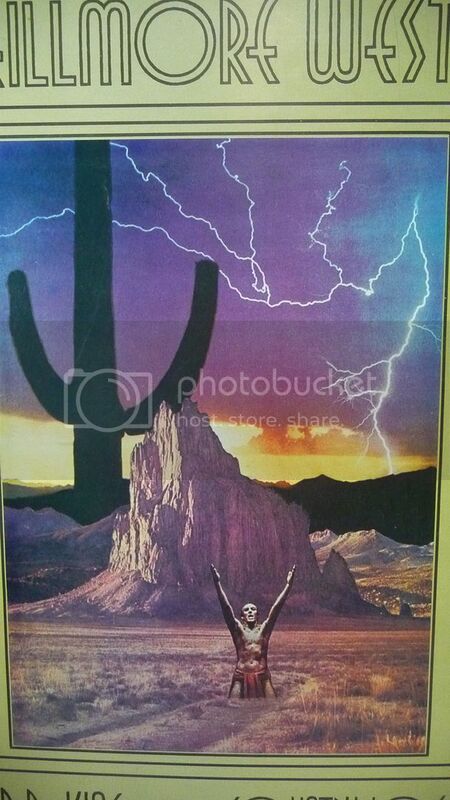 This poster will look great in a frame. 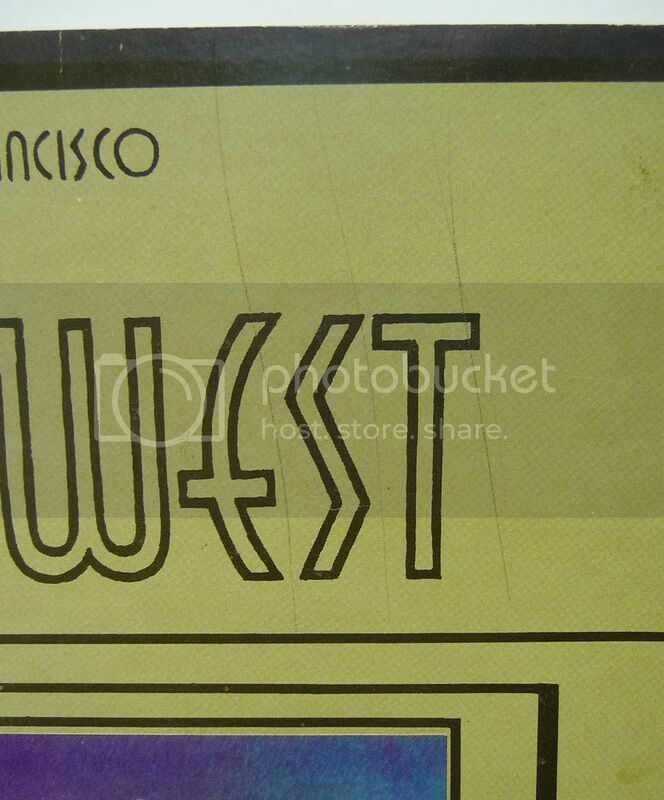 The design was done by DAVID SINGER and printed by Tea Lautrec Litho of San Francisco. Snag this piece of music history today! Categories: MUSIC, PAPER PRODUCTS, Posters. Tags: collectibles, B.B. 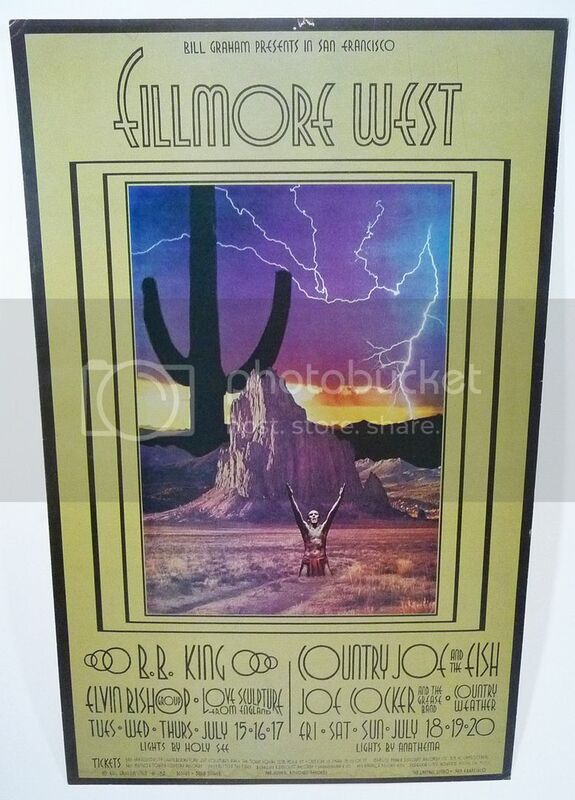 King, Bill Graham Presents, Country Joe & the Fish, Fillmore West, Joe Cocker, music, Pop Culture, posters, rock & roll. Be the first to review “Bill Graham Presents B.B. 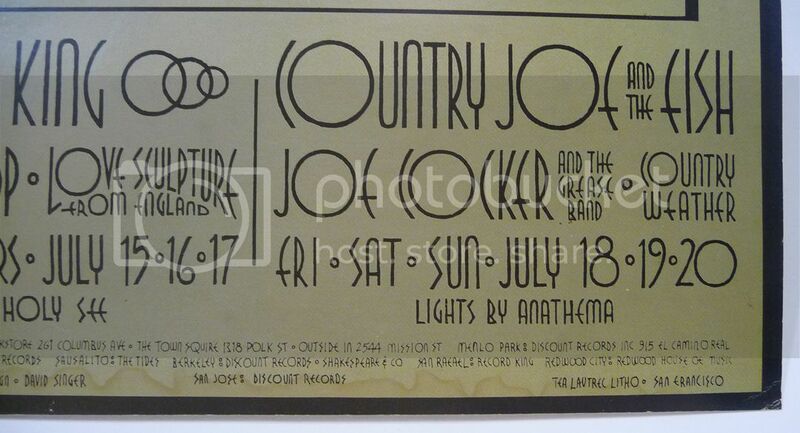 KING – COUNTRY JOE & THE FISH Fillmore West Poster (July 15th-20th 1969)” Click here to cancel reply.